When a video game makes a transition to television or video games, it usually sees some changes to reach a new audience. And it looks as if this will also happen with Showtime’s Halo series, based on the hit Microsoft game series of the same name. Some new details came out during a recent panel at Reboot Develop. 343 executive producer Kiki Wolfkill spoke briefly about what fans can expect. This includes small changes, like character ethnicity, that she believes will make sense with the story. VG/247 filed a report on the panel, in which Wolfkill suggests the changes with particular characters. “We may shift dates, locations, or ethnicity of characters.” However, she did not provide details about any particular character or location that would be changed. Wolfkill added that “there are some details that we may shift, but we want to respect the fans and what they love about the IP.” One other interesting detail came up. 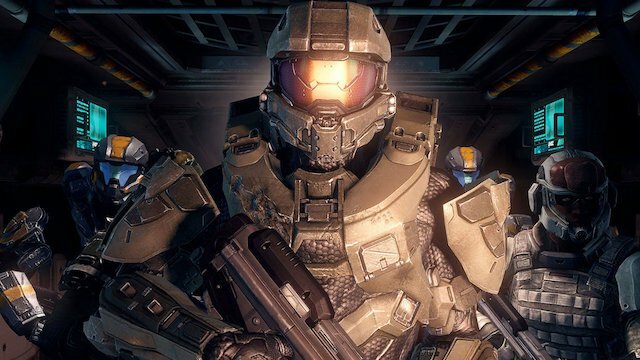 The Halo TV series could also be where fans get to see Master Chief’s face for the very first time. “There are occasions where he showers,” joked Wolfkill. The project has seen several shake-ups as of late. Rupert Wyatt, the original director pinned to the series, departed a while ago. Otto Bathurst, who previously directed 2018’s Robin Hood reboot, has since joined the project. A second showrunner, The Last Ship’s Steven Kane, is also on board. Halo doesn’t currently have a release date. Showtime deems it its “most ambitious series ever.” It might even have ties with Microsoft’s forthcoming Halo: Infinite, which is currently in production over at 343. What do you think about the potential changes to the Halo canon? Let us know in the comment section below!